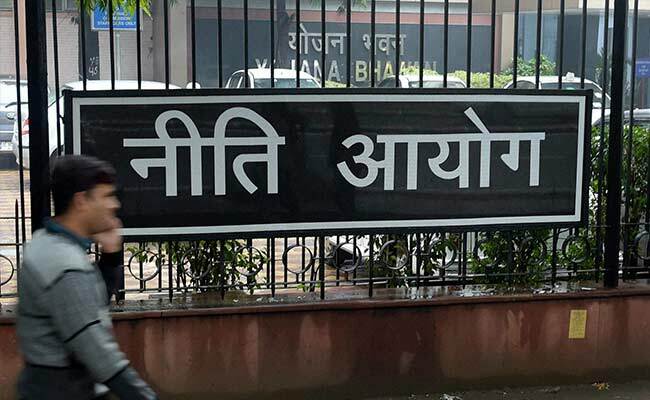 In a nutshell – NITI Ayog is more like India’s next version of operating system! A set of new features, a set of new faces, a set of new approaches – all bound together with one motive – ‘India Must Grow’. Having said that, it is important to say that NITI Ayog is in essence, more than a facial makeover of the long prevalent Planning Commission. With Planning Commission being renamed as National Institution for Transforming India Ayog or NITI Ayog, the core objective of the body remains the same but the whole approach towards achieving the core objective changes. Planning Commission worked with a model of “One Size for All”. Planning Commission never factored in the diversified growth pattern seen in different Indian states and union territories. Planning Commission never considered that world economy changes rapidly and hence, objectives set for future should change. India’s Planning Commission, since Independence has been following what is known as Command Economy. In this type of economy on public enterprises exist with no provision for private ventures. Everything from resources, to production to production centers and distribution channels are all under the control of the central power under the Command Economy format. Command Economy eliminates competition and efficiency is reduced dramatically. On top of that, things get worse when the distribution channels of the central power works inefficiently. Since all these models used by Planning Commission were obsolete or irrelevant in India’s context, the country felt a pressing need for an alternative mechanism for growth and development. This is where NITI Ayog was formed which will take a diametrically opposite approach to economic growth. Control Absolute control on policy flow. It was a one-way flow. In short, Planning Commission was a dictator. No control at all. Just limited to being a think-tank. Will not create policies. Directional approach Top to bottom – made policies at central level and implemented the same. Policy makers barely consulted states and union territories. It worked as a provider. Bottom to top – will give strategic and technical advice at state and union levels. Those will be escalated to center and policies will be designed accordingly that will better suit the needs of individual states. It will work as an enabler. Fund allocation Allocated government fund at state and national level for different programs that the commission deemed necessary for development. Has no powers allocate government funds. It will only provide ideas for economic growth depending on the needs of different states and union territories. State participation Nil when it came to policy formulation. Extremely limited when it came to decision on fund allocation of development projects. Full time participation. States and Centre will be brought together to address issues and device policies as per needs and then based on needs, funds will be allocated. Constitution NDC or the National Development Council was the governing body. NDC’s members included all chief ministers from all states and all lieutenant governors from all union territories of India. NDC gets replaced by Governing Council (GC). NITI Ayog will put forwards its recommendations to GC, which in turn has the same setup of lieutenant governors and chief ministers. Permanent members There was no part-time members’ provision. There was one member secretary, one deputy chairperson and the rest were full-time members. In total, there were 8 full-time members. There are only 2 full-time members and part-time members were will be invited depending on the needs. The two full-time members will be CEO and Vice-Chairman. Model used Socialism that was used in Soviet Union under the command of Joseph Stalin. Socialism works with command economy format. Federalism which depends on decentralization with more power vested at state level to help balanced growth. Over decades, specialists and citizens alike have debated that Nehru’s socialist approach for growth and Congress Party’s continued neglect of people’s voice has pushed India back by at least 50 years instead of pushing her forward on economic growth. This may change now with NITI Ayog’s new approach. So, what do you think? Is socialism good for India or is PM Modi’s advocacy for federalism going propel India beyond the elusive horizon? Feel free to express your views.